The Curse of Tenth Grave is book 10 in the Charley Davidson series. I've really been enjoying this series and decided to play catch up finally. The humor mixed into these novels makes this series a must read, at least for me. If you enjoy paranormal with humor mixed in you have to try these books out. In this installment Charley is facing some major changes. We have her dealing with her daughter being kept out of her life, knowing her hubby is a god and not a good one, and that there are two more gods that are gunning for her. Toss in that she's trying to solve two cases and you have one heck of a book. The first case is trying to prove a guy suspected of killing his girlfriend is innocent. All signs point to him being the killer but Charley knows that's not the truth. And her second case is helping a little girl who thinks she's cursed and next to die. 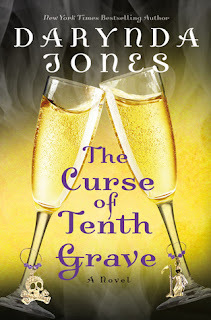 The Curse of Tenth Grave was a whirlwind of action that I couldn't put down. The characters in DJones' books really shine and make the story unique, even the secondary characters are detailed where the reader knows them. Charley is quirky as always and she makes me laugh out loud while driving and listening to the audiobook. I am questioning where the series is going to take us, are we going to fast forward years so see Charley's little girl grown up more sometime soon? 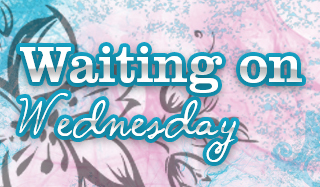 Guess we'll wait and see, until then I recommend this series if you're a fan of Urban Fantasy with some steamy scenes. As always, Lorelei King did a wonderful job. I'd cry if she didn't narrate this series, so let's not make that ever happen. I've heard that this series is really good. I love this series too. I'm all caught up, so I only have one book left (*sobs*). I think you'll enjoy the next two books. LOL at your narrator comment. I really do need to start these.